There is no other church in the country with this dedication. 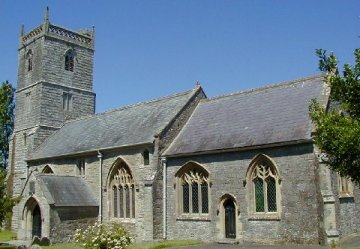 St Congar was a nephew of St. David and is believed to have come from S. Wales to Congresbury, and probably built the first church here about 700 A.D. The Jacobean pulpit stands on a pre-reformation stone pulpit, however, the faces of the four carved figures (probably the evangelist) are unfortunately mutilated. The Font is of very early date probably Early English or Norman. The Tower contains five bells, two of them pre-reformation, with latin inscriptions. We are delighted to inform you that we have been granted up to £39,300, which together with £4,132 from the Bath and Wells Association of Change Ringers, £1000 from The Central Council of Church Bell Ringers and £2131 (this leaves a balance for other expenses, for example bell ringing training) from funds given by you. These sums will enable us to complete this project without asking you for further funds. 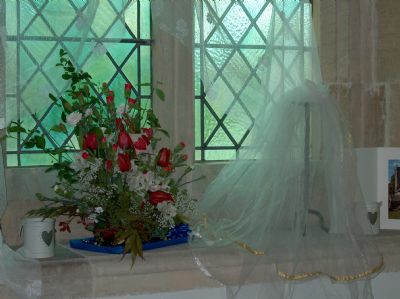 There will again be parties for celebrations, this time perhaps in warmer weather than for the Chancel Floor. Matthew Higby and son removed the bells when the Tower was repaired, stored them since and will now arrange for the repair of one bell before restoring and re-hanging them in the Belfry. Wells Cathedral Stonemasons (they restored the Chancel Floor) will restore the rather sad Bell Ringer’s chamber so that it will be attractive to new bell ringers. Work should begin on or around 1st January and be finished by the end of June. For your information we will request a temporary order to extend the Faculty that was already extended to 31st March 2109. Matthew Higby has a two-year waiting list for bell work and has kindly offered to complete the restoration and re-hanging in between other contracts. Wells Cathedral Stonemasons will begin around the same time and Matthew Higby and Son. The organ was originally made for the Prince Regent's Chapel at Brighton about 1837. 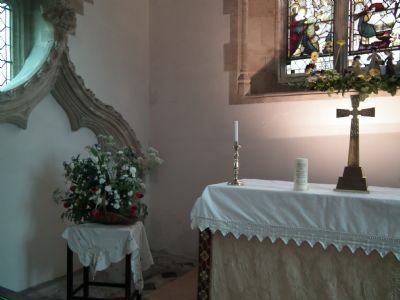 We are delighted to inform you that the Heritage Lottery Fund (HLF) have awarded the grant money we applied for to fully restore the Chancel Floor of St. Congar’s Church, Badgworth. 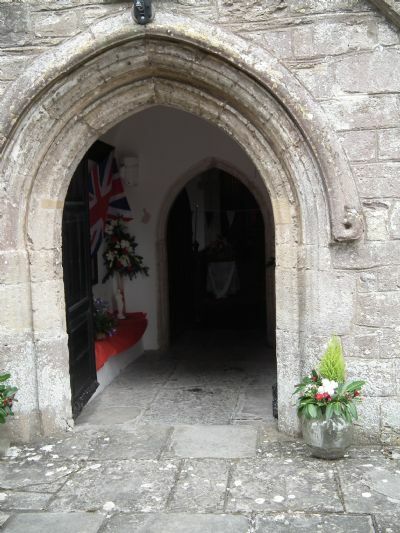 The Church architect, Mr. John Beauchamp of B2 Architects, Wedmore, will oversee the project. Together with John we have awarded the contract to Wells Cathedral Stone Masons of Cheddar. It is likely that the work will begin Tuesday 10th July and be finished by the end of September. There will be a substantial screen in the arch separating the Chancel from the body of the church that will enable us to continue with church activities and services. As part of our commitment to the HLF we will create a Heritage Trail (thank you Graham and Pat Dumbleton) a Hard-Hat tour of the tower and the chancel. We will run a photography competition (thank you Edward), for details please see the Notices & News page or the Crook Peak App. There will be a party in the church to celebrate the completion of the project. The Hard Hat tours will be for children in the local schools and for adults, details to follow. Our local historian, Johnny Torrens-Spence will be giving a Heritage Talk in the church. You will not be surprised to learn that Jackie and I will be looking for Heritage Volunteers. Please contact us for more information. This should be an interesting project, where the Chancel floor will be completely removed, a membrane laid to keep out the damp, and the floor re-laid with newly-cut Welsh slate and Lias stone and cleaned Bath stone. We have raised enough grant money from HLF, The Somerset Churches Trust and Bill’s scrapping to pay for the project, we even have funds for the party!